Kempinski has announced plans to open its first hotel in Cuba, in the historic Manzana de Gómez building in Old Havana, The Gran Hotel Manzana Kempinski La Habana will have 246 rooms and suites. Kempinski Hotels has signed a management contract with the Grupo de Turismo Gaviota SA. “We are very pleased to be opening this outstanding hotel in the spring,” said Markus Semer, Chairman of the Management Board and CEO of Kempinski Hotels. 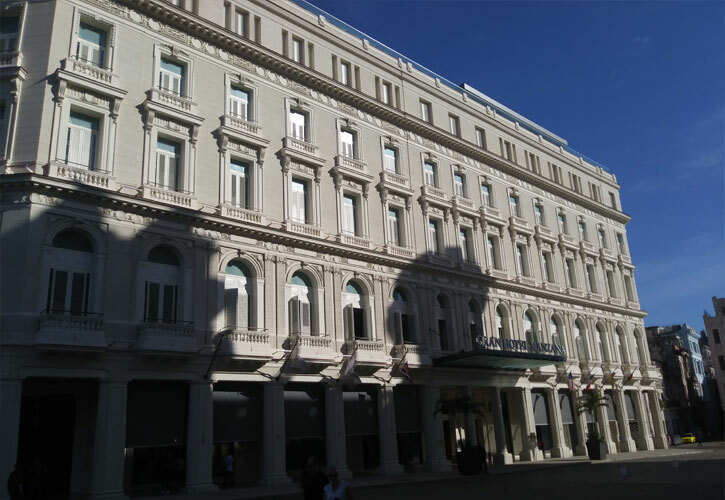 “The opening is a continuation of our pioneering spirit as the Gran Hotel Manzana Kempinski La Habana will be Cuba’s first modern luxury five-star hotel. And its location within a famous historic building currently makes it the most exclusive hotel project in Old Havana.” Carlos M. Latuff, Executive President Grupo de Turismo Gaviota SA, said that Europe’s oldest luxury hotel group is a perfect fit with the Manzana de Gómez. The iconic Manzana de Gómez was constructed at the beginning of the 20th century, as Cuba’s first European-style shopping arcade. “Together with Kempinski we will make this jewel the city’s leading luxury hotel,” said Latuff. The 246 luxury rooms and suites will range in size from 40 to 150 square meters, all with ceiling heights of four to five meters. A rooftop terrace and swimming pool offer views over the old town. There will also be an on-site spa, three restaurants, a lobby bar, cigar lounge and a business center.